The workplace should be a safe environment where employees can do their jobs without the fear of injury or death. Unfortunately, sometimes accidents and even deaths do occur while on the job. Thankfully, there are many ways businesses can reduce the risk of workplace accidents through the implementation of various safety plans. However, the benefits of doing just that go above and beyond simply preventing accidents, although that is important. There are other reasons to invest in a good safety plan for your business, some of which are listed below. By investing in safety improvements, you show your employees how important their safety is to you. As a result, you gain more employee loyalty. After all, no one would respect someone who doesn't care that they work in an unsafe environment day after day. That’s why caring about the overall safety and well-being of your employees provides benefit to the employee and the company. It’s also worth stating that providing your employees with a safe work environment is simply the right thing to do. Your employees have families they are providing for and cannot afford to miss work due to an injury or illness. That is to say nothing of the impact a death due to a workplace accident would have on their families. As a business owner or manager, you likely consider everything regarding your business as an asset or a hindrance to your success. After all, your goal is to make money. Therefore, you will be happy to learn that implementing workplace safety actually benefits your bottom line. The lower your business’s injury rate, the higher your profit margin. Statistics show that companies that implement effective health and safety programs in their workplace environments can expect a reduction in their company's illness and injury rate of around 20 to 40 percent . Conversely, if you have several accidents at your business throughout the year, your insurance cost and legal fees will likely skyrocket. If you are only considering workplace health and safety in terms of how it affects you and your employees, you are leaving out an important factor. It also affects your customers. If your employees are injured at work as a result of unsafe conditions you may no longer be able to fulfill the demands of your customers. These customers cannot be expected to simply do without or wait for their orders. As a result, you may lose business. Through proper workplace safety analysis and planning, you can pinpoint areas that might need special attention in regards to your employees’ safety and wellness. As you have read, the importance of workplace safety cannot be overstated. Therefore, the sooner you begin creating a safer work environment, the better. 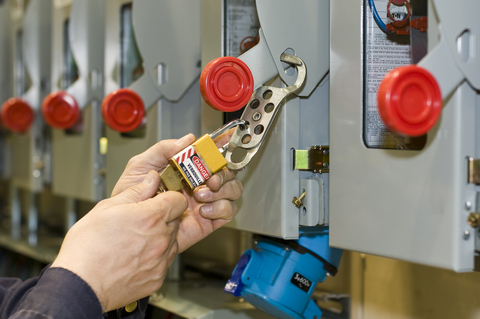 A good place to start might be looking for the top 10 OSHA violations. If you have a good program in place and are looking to analyze and improve, consider looking into an enterprise EHS software solution.